Raiders take to the road again this Saturday to visit Old Albanian at their extensive facility ‘Woollams’ in St Albans. This will be our fifth visit for a National League fixture. OAs visited Roundstone Lane last October emerging victorious, 16-21, in a very close, hard fought encounter. We have played the club many times dating back to 2003 in London 1. St Albans School, founded in 948 AD, making the school amongst the oldest in the country, is at the heart of OA. A few former pupils with the urge to continue to play rugby together formed the club in 1924. A farmer’s field, a WW1 barrack hut for a pavilion and boundless enthusiasm (and a few beers!) got the club going. 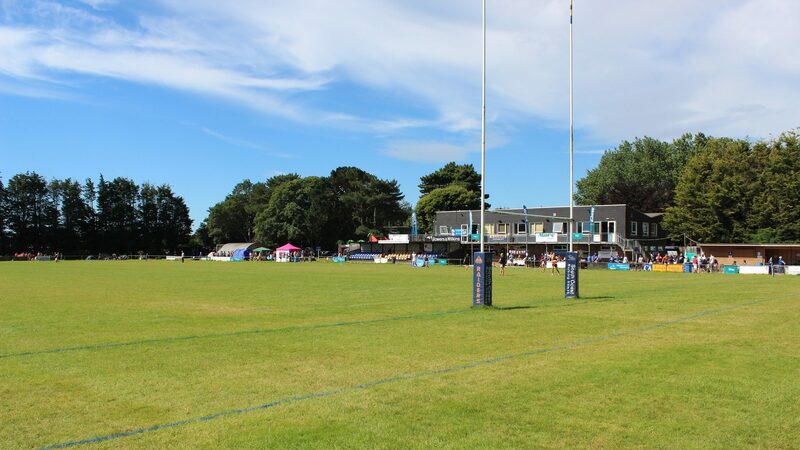 Originally fixtures were played at a ground known as Beech Bottom, but a move was made in 2002 to the existing extensive facility known as ‘Woollams’. The 70 acre site is named after a generous benefactor to the School and former mayor of St Albans, Charles Woollam. The club became ‘open’ in 1937 providing rugby for all not just for old boys of the School. England stalwart prop forward Jeff Probyn started his career at OA. The club put out 4 sides on Saturdays with Junior and mini rugby taking over on Sundays (900+ turn up!). Ladies rugby, OA Saints, play in Championship South East 2 and have finished 3rd for the last two seasons. The club has a strong link to Saracens, who use the facilities for training. Club colours: Maroon, Navy & Gold. We have played OA at level 5 (aka London 1), level 4 (National 2 South) and level 3 (National League 1): Worthing were promoted to level 4 in 2008, with OA catching up in 2010. They pipped us for promotion to level 3 in 2012, but we joined them for season 2013/4. Raiders were relegated, but OA joined us back in level 4 in season 2015/6. They bounced straight back to level 3, but were relegated last season. Just one point and one league spot (21/20 8th/9th) separated the sides prior to this fixture. Raiders hoping with home advantage to increase the daylight. Alas it was not to be, despite staging an onslaught in opposition territory for much of the final quarter, the pressure could not be converted into victory. Raiders: McLean, Maslen, ForrestJ, Sims, Forrest H, Gwyther, Holt, Birch, Luke, Gatford, Rees, Lake, Harris, Price, Perkins. Bench: Grief, Adams, Lee, Boyland, Richards. Old Albanian: Ricci, Anderson, Watson, Watt, Warne, Wicks, Thompson, Hughes, White-Martinez, Chamnaoui, Hamilton, Illston, Scopes, Mundy, WestC. Bench: Townsend, Ackuaku, Napier, Hill, Smith. Scorers: T: Warne (9 mins), Watt (20 & 59 mins): C: Watt x3. Despite winning 5 from their last 8 fixtures the writing may well have been on the wall earlier in the season as they had spent much of the time in the bottom 3. By early February (W4/ D1/ BP9) they had accumulated 27 points from 22 fixtures played. The top points scorer was Tom Bednall with 129. Dan Watt also clocked up 71. Top try scorer, amongst the players who have turned out this season, was Ross Hamilton with 4. Versatile half-back Morgan Thompson made 24 appearances, prop forward Charlie Hughes 23, lock forward and captain Ross Hamilton on 21. Since their visit to Roundstone Lane last October, Albanian have managed to increase the daylight between the clubs into their favour, having now opened a gap of 2 points! They have, however, been on a lean run, not getting a ‘W’ on the scoresheet since 8th December, when they took apart LIWG (56-0). Hawks (33-12), Bury St Edmunds (24-22), Barnes (20-24), Ram (36-21), TJs (12-47), Old Reds (37-15) and last week Taunton (10-8). The fixture on 2nd February at ‘Woollams’ against Ding’s was postponed. As usual a list of the squad used last week is provided, along with detail on several other players who have turned out in recent fixtures. They have chopped and changed their starting line up somewhat, but experienced players, centre Dan Watt, prop forward Charlie Hughes, and scrum half Morgan Thompson have been virtually ever-present. Dan Watt along with South African fly-half Tom Bednall lead the scorers. As would be expected, there are usually a few players from Saracens U18/Academy in the line-up. This is obviously an important fixture, so please try to get along to add your support from the touchline…it is greatly appreciated by the players.